Oops, I did it again. I slipped and accidentally splurged £45 on some lovely LUSH goodies. I didn't even have a legit reason to in all honesty (my last big haul was due to my fabulous A Level results) but that's never stopped me before *wink*. This time I was simply looking to buy some more solid shampoo and ended up being enticed in by the rest of the website. I did manage to order the solid shampoo I was after, but also topped up my basket with conditioner, hair 'custard' (whaaa?) solid deodorant and some dusting powder. Bang tidy. The shampoo I chose is the new online-exclusive The Blonde. I was initially meaning to re-purchase my previous shampoo, Jason and The Argon Oil, which I accidentally melted in the shower (RIP) but found myself drawn to The Blonde instead due to its name and ingredients. After adding the shampoo to my basket, I figured I might as well have a conditioner as well. As I've never tried a LUSH conditioner before, I went for the one with the prettiest name and best ratings, which was American Cream. Described as 'milkshake thick' with a strawberries and cream fragrance, I quite honestly couldn't resist a 250ml bottle of the stuff. Ok, so now about that 'custard.' LUSH always advertise their Hair Custard on the back of their brochures and it's a product that has really intrigued me. Reading reviews it's said to have an amazing smell and is really moisturising on dry hair, like a leave in conditioner. I plan to use this product to create waves in my hair by rubbing a small amount in my palms and scrunching it into wet hair, I really can't wait to play with it. The product I'm most excited to try is the T'eo solid deodorant. I have honestly tried sooo many forms of deodorants before, including Mitchum roll-on, spray and solid stick, Right Guard spray, Dove roll-on and spray and even Perspirex extra strong roll-on. Nothing has been great, however the best I tried had been the solid Mitchum deodorant stick, which is why I have a good feeling about this solid deodorant. The last product I bought is the Silky Underwear dusting powder. It's one of those products where I went solely on the name alone before purchasing, hehe! I love the idea of it as I personally don't like using Cocoa Butter body butters or lotions because of the sticky effect they sometimes leave on my skin, so a Cocoa Butter moisturiser in powder form sounds absolutely amazing. Which full review would you like to see first? 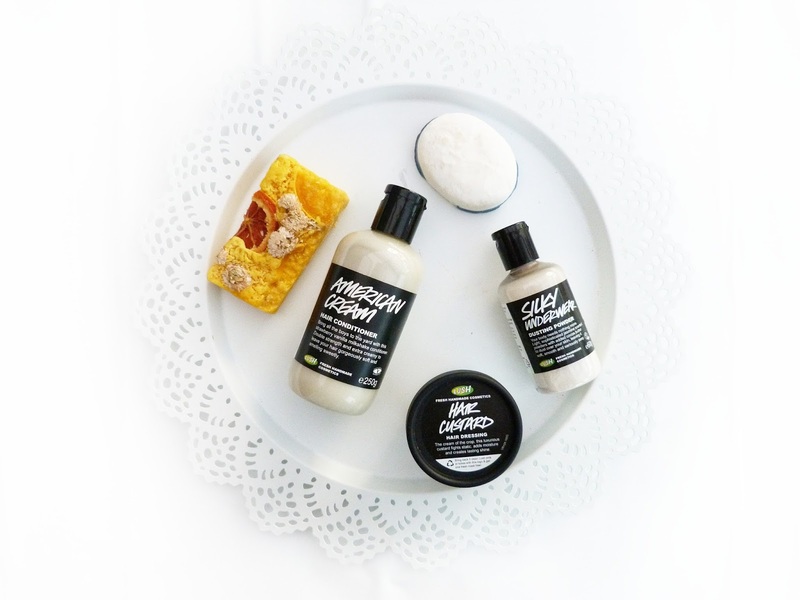 These products look great I am in desperate need of a Lush spree soon. Great post! American Cream is the best! It makes your hair feel so amazing, you're gonna love it. Great haul!